How can we manage to move forward in the face of hardship, when the odds aren't in our favor? 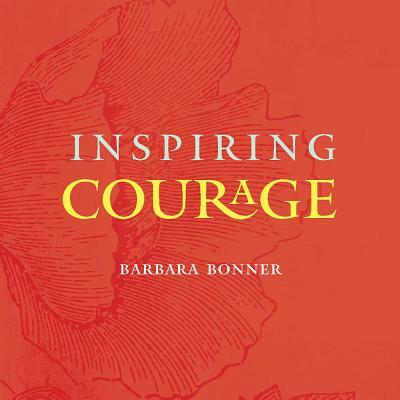 Inspiring Courage offers us a beautiful companion to the challenges of daily life--it is a book of inspiration and a resource for finding strength when the very notion of courage seems unfathomable. This collection of quotations, poetry, and uplifting accounts of ordinary acts of life-changing courage--often in the face of fear--are carefully selected to open us up to living life fully, from a place of strength and love. After starting her professional life as an art historian, Barbara Bonner has devoted her career to nonprofit management, fundraising and philanthropy. In New York she held leadership positions in three of the city's distinguished museums. She then served as Vice President of Bennington College and of the Kripalu Center for Yoga and Health. Since 2009 she has had her own consulting company that helps nonprofit organizations transform their board leadership and philanthropic support. In addition, Barbara has served on ten nonprofit boards, most recently as Board Chair of The Barre Center for Buddhist Studies. Several years ago she started a major fund for helping women with cancer in her region. After 30 years in New York City, Barbara now lives in a converted barn in the Berkshire hills of Western Massachusetts. Her first book, Inspiring Generosity, was published in 2014. Barbara has spoken widely on the subjects of generosity and leadership and is a frequent contributor to The Huffington Post.